A hospital trust chief executive has admitted his hospital did not act quickly enough after concerns were raised over patient deaths. 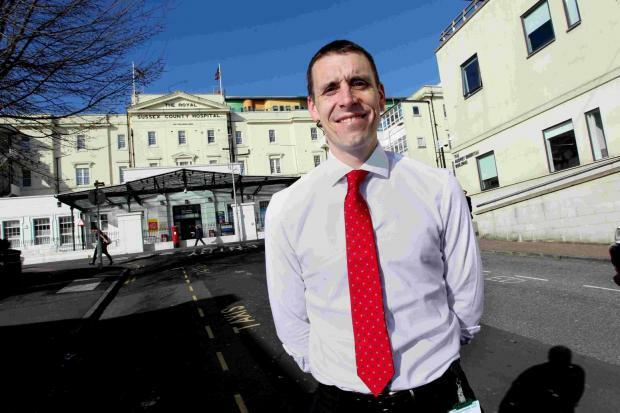 Matthew Kershaw, CEO of Brighton and Sussex University Hospitals NHS Trust, apologised to the families of the patients involved and said the standard of care they received was “nowhere near good enough”. The apology came as the father of Stephen Palmer, who died in 2013, spoke of his fury at what happened to his son. The Argus exclusively revealed yesterday how serious flaws in the care of five patients in the acute medical unit (AMU) at the Royal Sussex County Hospital in Brighton contributed to their deaths.